Generally, our poly bag and plastic packaging products are sold through distributors who specialize in serving a particular end-user customer base (e.g. industrial paper, food service, agriculture, garment manufacturing, retail, bakery, medical, produce, etc.). In addition, many of our plastic bags and packaging products can be purchased through master resellers who specialize in plastic flexible packaging. If you are an end user, or are in need of medical non-clean room bags, plastic fruit and vegetable packaging, plastic bakery bags, plastic agriculture packaging products, etc., contact us and we'll help you determine the best way for you to become a Lindamar customer. We want your business! Under the auspices of the Global Food Safety Initiative (GFSI), Lindamar Industries manufactures custom polyethylene bags, plastic lidding film and plastic packaging and liners in a variety of styles (illustrated below) for the produce and agriculture, medical, bakery, and other consumer industries. We manufacture custom orders for medical non-clean room poly bags, plastic FDA grade liners, agricultural films, FDA grade bakery and produce bags, and more. All Lindamar orders can be manufactured in a wide range of styles (gusseted, side weld, bottom sealed, etc.) and gauges, and can be ordered in any color, plain, printed, or embossed. Check our Product Offerings for currently available Lindamar polyethylene products and plastic bags. One of our trending and most popular applications is lidding film. Our capabilities are to add re-sealable film to various trays and snack packaging. This advanced method of packaging offers end-consumers lasting freshness and ease, perfect for their busy lives and eating on the go. Lindamar SP-AF is an innovative high clarity heat Peelable Lidding film for APET, RPET, PVC and ready meal trays. The technology is a coated polyester film and is 99% pure polyester in its composition. Exceptionally strong, these films are suitable for ovening, microwaving, chilled and frozen applications. All films are available with the possibility of adding Anti-Fog, Print, High Barrier and Perforation. Re-sealable Lidding are Peelable films that are re-sealable after opening giving the consumer the opportunity to keep the food, which is uneaten, fresh. Re-sealable films can be formulated to seal to different base material trays. The film is ideal for cooked sliced meats, bacon and cheese slices. It is a very suitable film for the snack industry. 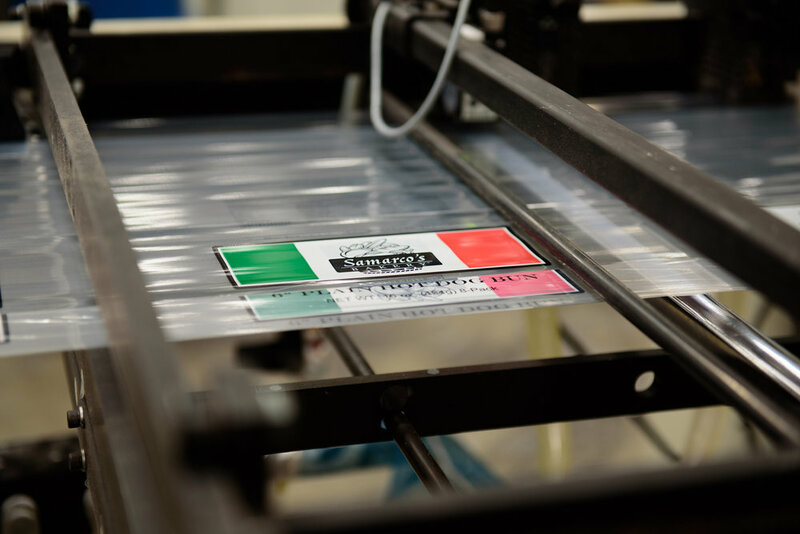 Due to the simple but proprietary technology used, Re-sealable Lidding Films are very economical in cost. Lindamar Die Cut High Barrier Lidding is a white, clear or metallized film that is used for die cut lids for the diary and other industries. These die cut lids are principally used for sealing to PP & PE pots; with options available for lids formulated with very strong seals to PS, RPET, APET & RPET pots. 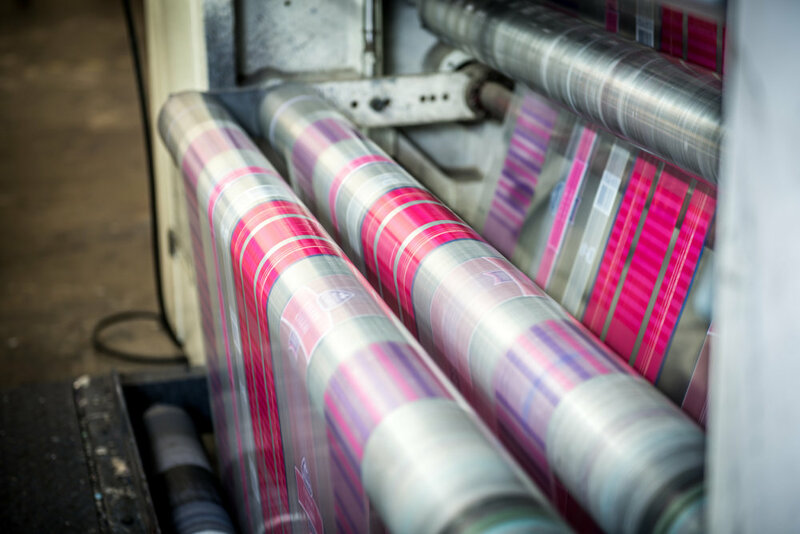 All die cut films can be supplied printed. These films are resistant to solvent attack by alcohol and acids. Therefore making the films suitable for creams, ketchup and sauces, which contain these ingredients. Lindamar MicroFry enables the consumer to gently cook products in the microwave in the product’s own juices. The cooked product is a juicy, colorful, tender and tasty meal solution. The film vents excess steam build up but maintains a high steam level inside the pack. After cooking, Lindamar MicroFry becomes easy to open requiring a gentle pull by the consumer to quickly open the pack. It has excellent cheese release properties for cooking cheese-topped products like pizzas. Lindamar EasySteam enables steaming and/or pressure cooking in ready meal or home meal replacement (HMR) applications. Lindamar EasySteam film is specially designed to allow gases, which arise during cooking to escape through the seals of the pack, but moisture is retained inside the pack. As EasySteam creates a high intensity-cooking environment it speeds up the cooking resulting in a superior tasting product. EasySteam can be used with ovenable CPET or PP trays. The seal layer can be tailored to seal to virtually any other substrate as required. Natures Reward BioPeel is a clear Peelable PLA lidding or flow wrap film for biodegradable applications. PLA (Polylactide) is derived from starch and is biodegradable and compostable. The film is suitable for use in chilled and frozen conditions, and hence ideally suitable for fruits, vegetables, salads and sandwich packaging applications. BioPeel also peel seals to other substrates including APET, PVC and HIPS. 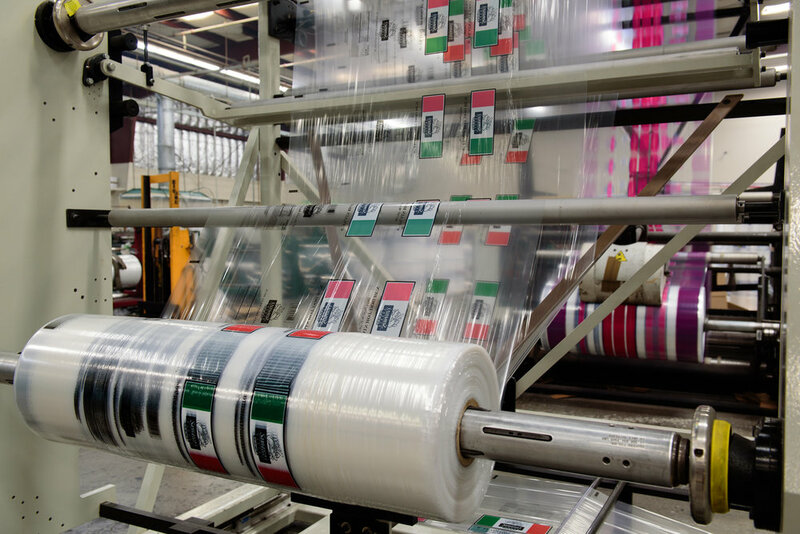 The Peelable film can be supplied with Barrier. Adhesive is also compostable. Lindamar Industries now offers a line of sustainable packaging. Similar to the popular BioBag brand, Lindamar provides green alternatives including certified compostable bags and ASTM D6400 biodegradable bags made with renewable starch and biodegradable polymers for food packaging, shopping bags, composting, yard waste removal and trash removal. All of our sustainable packaging products can be ordered with environmentally friendly printing, with up to 8 colors, to suit the customer's needs. Our Compostable Bags have earned the internally accepted OKCompost and DIN CERTO certiciation. Lindamar Industries is thrilled to now offer a line of quality compostable bags made of 100% renewable starch and biodegradable polymers. Compostable, biodegradable and sustainable, the Lindamar Compostable Bags are ideal for single-use shopping bags (with or without handles), food wrapping, yard waste collection and disposal of kitchen trash and food in composts and composting facilities. Lindamar Compostable Bags are designed to begin the decomposition process when placed in an environment similar to a composting facility. Avoid filling bags with only wet lawn clippings or placing full bags on wet lawns to ensure the stability of the bags until time of disposal. Do not pour hot liquid into Compostable Bags. Rubber bands, wire or other non-compostable ties should not be used on Compostable Bags. Our Hybrid Bags are made with 40% less plastic than the average bag and reduce usage by an estimated 3 million pounds of plastic per year! Lindamar Industries Hybrid Bags offer a lighter-weight and more environmentally sensitive alternative to low density polyethylene bags. A hybrid of plastic and plant starch, cellulose, or biodegradable polymers, the sustainable bags are recyclable and reusable (but not compostable or biodegradable) and can be ordered with or without a handle. The bags provide similar load-bearing characteristics to that of low density polyethylene bags, but with 40% less plastic than the average bag, reducing Lindamar's usage by an estimated 3.0 million pounds of plastic per year. If your company would like to consider green, sustainable or corn starch-based biodegradable bags for use in composting, yard waste or trash disposal, contact Lindamar Industries to find the right bag option for you. Lindamar's OKcompostion certified and ASTM D6400 classified compost bags guarantee high-quality sustainable packaging similar to BioBag products. Contact Lindamar Industries to learn more about or to order sustainable packaging today. Lindamar Industries a California ISO 9001-2008/FSSC 22000 certified plastic packaging manufacturing facility, specializes in custom, FDA grade, printed and plain plastic bag and lidding film manufacturing. 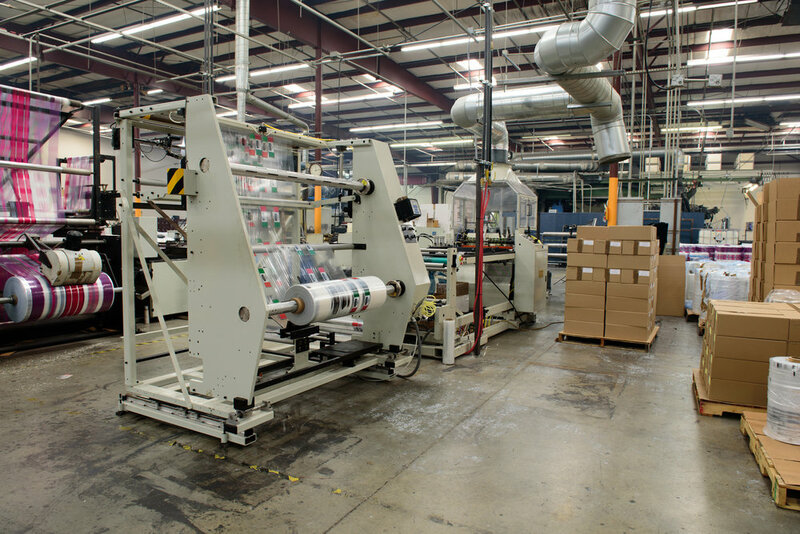 We are proud to offer a variety of custom manufacturing capabilities to meet the plastic packaging needs of the agriculture, medical, bakery, and other industries. Whatever your plastic product needs, our polyethylene extrusion, plastic bag printing, and poly bag converting capabilities can meet them. We produce everything from sideweld, bottom sealed, and gusseted plastic bags to agricultural films, polyethylene lining, bulk produce bags, ice bags, and other merchandise bags. All plastic packaging products can be printed, embossed, custom cut and sealed to fit your needs. Please read the quoting section at the bottom of this page to receive a quote for your plastic bag order. All materials are available in custom colors as well as their natural or clear coloring. *Not all products & sizes are available in every material and at all gauge ranges. Call for specifics on your item. **Bottom Seal bags (particularly smaller widths) are often slit sealed. Some larger widths require a gusset or star seal. Fill out the form below and one of our top representatives will be in touch with you shortly to discuss your needs!